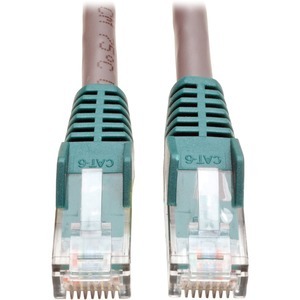 Tripp Lite's 7-ft. Gray Category 6 (Cat6) cross-over molded cable has 2 standard RJ45 molded male connectors featuring integral strain relief. The cable is designed to connect hub-to-hub, PC-to-PC or Mac-to-Mac and is perfect in conjunction with 10/100/1000 base-t networks. Molded connectors are a different color to help identify this cable as a cross-over cable and not a standard patch cable. 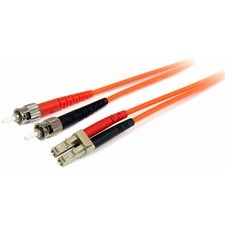 Manufactured from PVC 4-pair stranded UTP and rated for 550MHz/1Gbps communication. 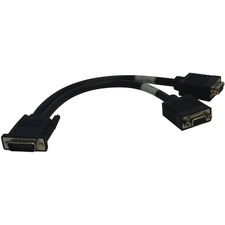 Snagless Category 6 patch cables are also available. Meets most current industry standards including IEEE 802.3ab, IEEE 802.5, ANSI/EIA/TIA 568, ISO/IEC 11801 and ETL.